When it comes to eye treatments, texture is everything. The texture of Botani’s Rescue Eye Treatment is a gel-serum hybrid that offers extreme hydration and a visibly firming effect, making it ideal for both day and night. This unique texture also aids in depuffing — a must for me in the A.M. — and leaves a perfect canvas for makeup application, as it dries to a “your-skin-but-plumper” texture. That means no sticky, goopy feeling and no overly runny or oily feel. At all. Seriously. I’m in awe over the texture. 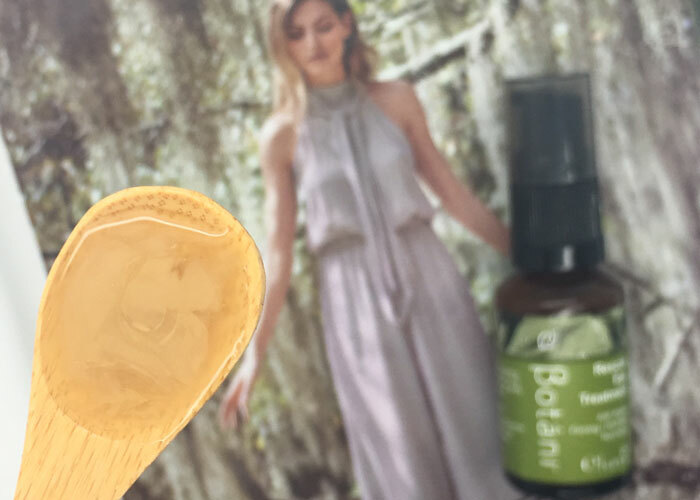 Instead, Botani’s Rescue Eye Treatment imparts a honey-like scent (though there is no honey include in the ingredients list) and subtle sheen. My guess is that the subtly sweet scent comes from the inclusion of Acacia Senegal Gum, which is tree sap, in the formula. It’s said to help with lifting and firming skin. Locks in moisture, creating a soft and smooth, even skin texture | Abso-freakin-lutely agree. Texture! In addition to Acacia Senegal Gum, a few other skincare powerhouse ingredients included in the formula are responsible for the beautiful texture and effects of this eye treatment. 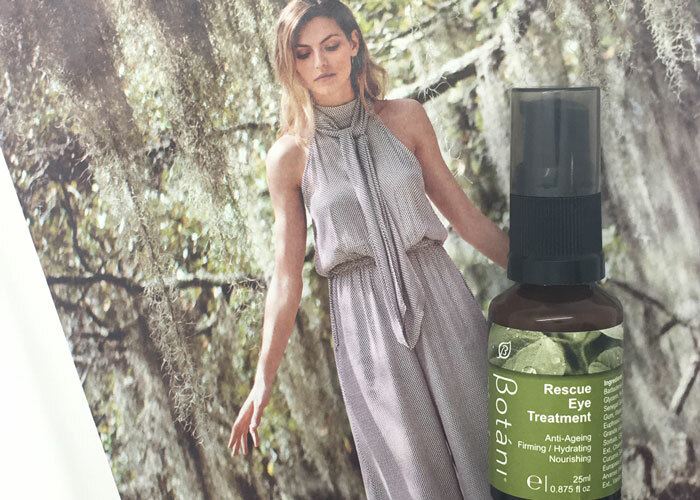 See why I am tempted to use Botani Rescue Eye Treatment as a facial serum? Dry, cool weather calls for amped-up hydration! My eyes are spoiled right now. Because this is a water-based formula, as mentioned above, you will find a preservative in the ingredients list. That preservative, sodium benzoate, isn’t the best but isn’t the worst. Use your own judgment and follow your own standards of green and clean to determine if this fits into your beauty bag. For me, Botani Rescue Eye Treatment is a repurchase because of its efficacy and cleaner ingredients list. I truly haven’t tried many other eye serums (eye gels?) like it. What textures do you seek out in eye treatments? How do your choices change by season? Have you tried anything from Botani? Tell me in the comments!